Just like a hunter without a gun is vulnerable, a hunter without a knife isn’t a hunter. The proper hunter knows that the single most important tool is a hunting knife. After the hunter has taken care of his prey, he must use a knife to clean, cut, cook, and eat the animal in question, that is, if the animal is edible. 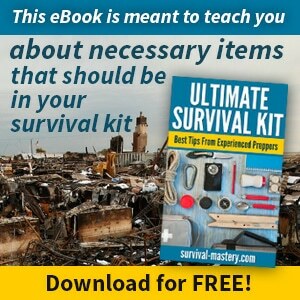 Not only does a hunting knife allow endless preparation of hunted food, but it also doubles as a utility that can get you out of some tight places. 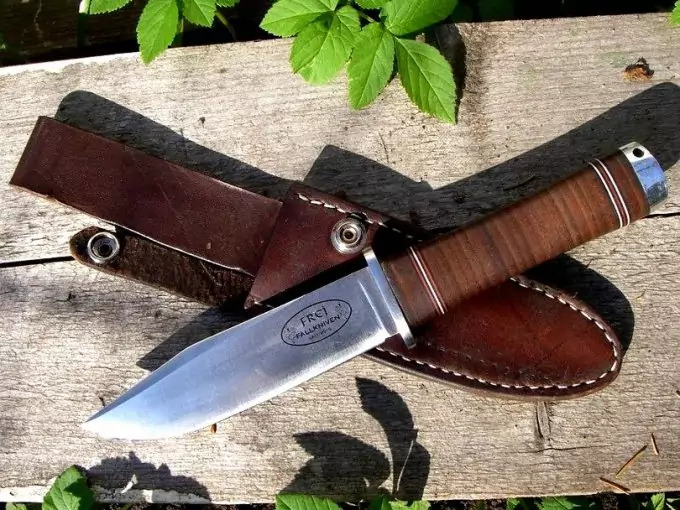 Whether your shoe string needs shortening, an animal needs skinning, or kindling needs to be made, a proper hunting knife can make or break a hunting trip. Forget a usable knife, and most aspects of hunting can’t be done as easily. 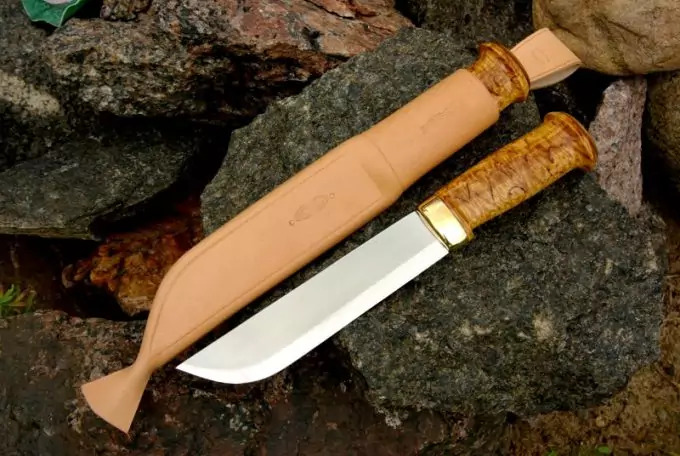 Although the normal human can’t see a huge difference in the types of knives on the market, a hunter will know which knife is the best hunting knife, and they will know how to use it properly as well. While there are numerous knives made for a million different jobs, it is the most dynamic hunting knife that can give the greatest yield in the middle of a hunt. What exactly should the consumer be looking for in a knife? Well, first off, the price must be examined. Sometimes, a price can fool the consumer into buying an overly expensive knife. After checking into the price, look at the blade design. Find one that fits your personality, and double check which blade material you like. If you want a shorter blade for cutting through skin, or a longer one for the filleting of meat, everyone can find the right hunting knife for him or her. Next, is the handle. A handle must be light, but also carry some weight. The weight on the handle should be balanced enough to make it easy to use. If the right handle doesn’t come with the blade you like, another option is to have a blade or handle custom made. 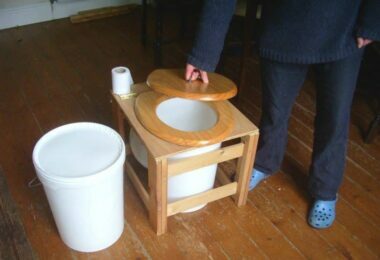 Do you want to make your own? 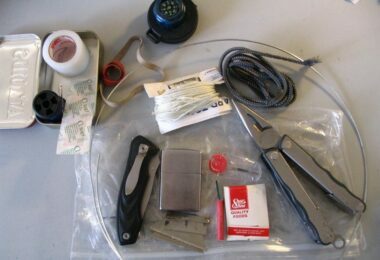 See our article featuring instructions on how to make your own knife which is a must-read for all. However, there are too many different variations of knives to miss out on the right design. Also vital to the knife buying process is the type of material the knife and handle are made out of. Obviously, everyone drools over stainless steel, but regular steel holds up for years and years. What about the handle? Is it made from wood, plastic, or some other material? Wood seems to be the normal type of handle, but recently, bone, steel, leather, and aluminum have become popular in the knife world. In order to have the best hunting knife on the market, you must find the right balance between handle, blade, weight, material, and even sheath. Only after examining the various parts of a knife, can you choose one that will last for a long time. Buy a knife that will not only become the best hunting knife, but also one that you will feel proud to pull out and show off to your friends. For tips on how to sharpen a knife and take care of it, see our article on this important topic. With a name like Fallkniven Frey, does the knife even need to be sold? Interestingly, the knife is named after a Norse God, Frey. The Fallkniven Frey is a knife that is completely built by hand. The base of the knife is made form Japanese stainless steel, sometimes given the nickname super steel. This super steel is used so that the most durable and sharpest knife blade out on the market. The knife sports a divider between the handle and blade, so that users do not accidentally slip their fingers down on the blade. Perhaps that most intriguing part of this knife is that the handle is made from Ox hide. 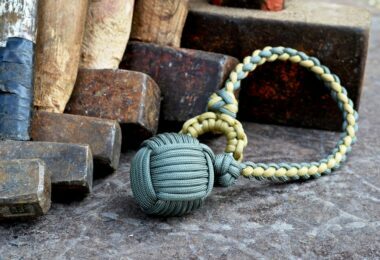 The hide creates a stable grip, while making sure unwanted substances, such as moisture, oil, and dirt can’t latch on to the handle. The sheath is made from beautiful leather that tans with age. While the materials used in the making of this knife are stellar, the actual work ability of this knife surprises most who test it. With the blade and handle in perfect harmony with each other, the Fallkniven Frey is easy to hold, but also even easier to cut. While the Fallkniven Frey is one of the best hunting knives in the world, it does not take the top spot. The Fallkniven Frey goes for about $400 or so, and can be found for less sometimes. The next knife on our list seems to be extremely popular in the large game world. The BRK Magnum Fox River is used for Elk or Moose usually. These knives are also very apt at cutting skin, cleaning the animal, and are good carving tools as well. Manufactured in a process similar to the Fallkniven Frey, the BRK Magnum is not made by hand. This Magnum is a larger version of the previously sold line of Fox River knives. The BRK Magnum sports a perfect drop point blade, while being crafted from A2 tool steel, which isn’t stainless, but is carbon based. The blade measures about 6” in length, with the overall length being about a foot. The drop point blade, combined with the flatness of it, creates a great cutting edge that is sharp enough to penetrate almost anything flesh related. The handle comes in a variety of choices, including Micarta, Stag antler, and the classic wood, but if choose wood, you will regret it. The Magnum also comes with a handcrafted leather sheath. The price of the BRK Magnum Fox River knife is approximately $250-$350, a welcoming number for such a reliable knife. The BRK Magnum is one of the best hunting knives to buy, but it doesn’t quite reach top status. The Lion Steel M3 knife is a little different than the previous hunting knives. 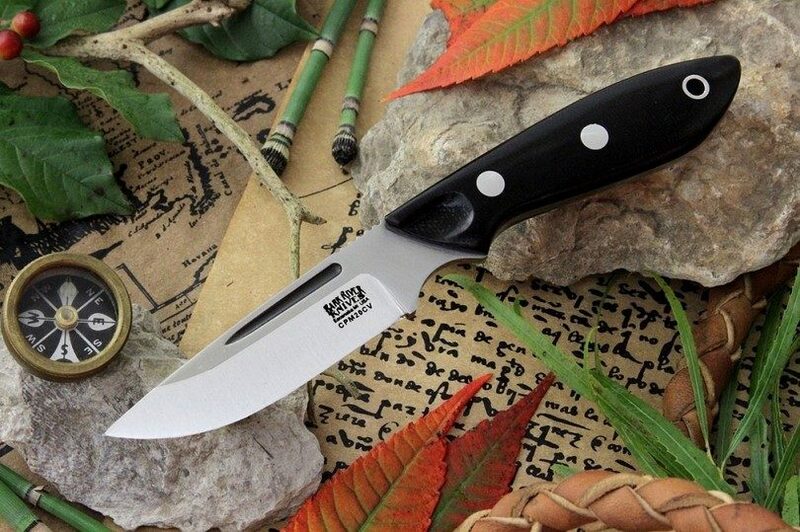 The Lion Steel M3 sports a much shorter blade that can be used for hunting. While long hunting knives have been bought traditionally, the shorter blade catches a hunters’ eye because of all the various uses and small places it can be fit into. This knife is made with a wide, drop point blade that almost looks like it wouldn’t be used as a hunting knife. The blade is forged in German with stainless steel, which is one of the stronger steels, due to ingredients like Carbon, Chromium, and Vanadium. The blade is 4” in length, and here again, has a pristine cutting edge. The consumer can choose from various handle types such as Micarta, Olive Wood, or Santos Wood, in order to find the best handle for you. The Lion Steel also comes with a nice, leather sheath that will keep the knife from getting out. Although the Lion Steel M3 is not the best hunting knife, it can be bought for a reasonable price. About $200-$300 and you’ll become the proud new owner of a stealthy, heavy-duty hunting knife. Next, the pristine and ever beautiful Puma Skinner is on our list. A fairly self-explanatory name for a knife, the Skinner can tackle any type of flesh or fur coat that would get in the way of the average hunter. Made in Germany, the Puma Skinner, and the Puma name in general, have been widely recognized as some of the finest quality cutlery that can be offered. The Puma sports a tailing point blade that can be argued as one of the best made tailing point blades on the market. A gorgeous 4” blade that is made from hardened stainless steel joins with an even more amazing handle to form one of the prettier knives out there. 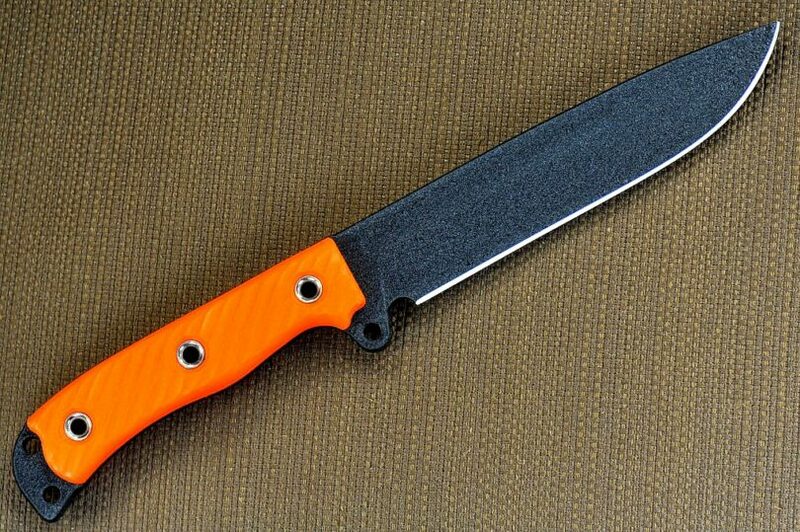 The entire knife is around 9” and has a quillon made of aircraft grade aluminum to protect the users fingers from a bloody mishap. 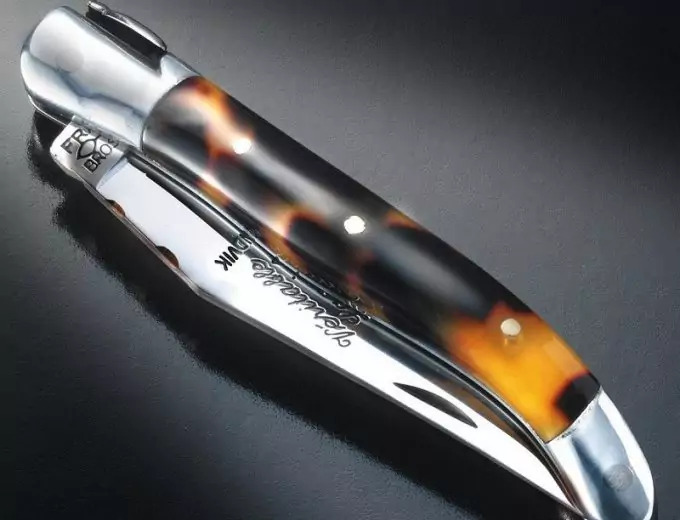 This knife looks like royalty could own it, it is that well made. The best part, the price won’t kill you either. For a mere $200, this amazing cutlery knife can be purchased at most knife retailers, especially online. Even though this knife is probably the best looking knife, it is not the best hunting knife, but it is one of the best hunting knives that can be bought. The Queen Cutlery Skinner has been built to take care of small or medium sized game. The Queen Skinner also has a sharp blade, made from a high-carbon, high-chrome semi-stainless steel material. The spine design of the blade allows for a different feel for the other knives on this list, but still works amazingly when put to the test. Since there are no special parts to this knife, its’ basic design, only handle and blade, yield a great hunting knife when needing to save space. The blade itself is 3” long, while the entire product is only 8” in length. The handles are checked by lasers for imperfections, which make this knife have something most don’t. This knife can be used for many others things than just skinning. In fact, it does a great job as an all around knife for the house, or farm, because it is small, but an amazing cutter. The Queen Cutlery Skinner comes with a leather sheath as well. Although this particular knife cannot be the best hunting knife, it might be the best hunting knife for the money. This American made knife will only take about $60 or so to make it yours. 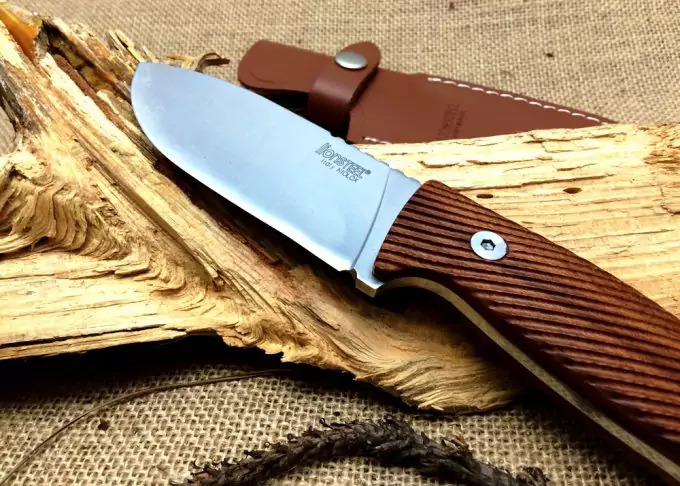 The Buck Ranger Skinner is not one of the best hunting knives a hunter can buy, however, it is a knife that deserves honorable mention on this list. The Buck Ranger may not be as useful as the other knives on this list, but what it lacks in usability, it makes up for with pure design bliss. 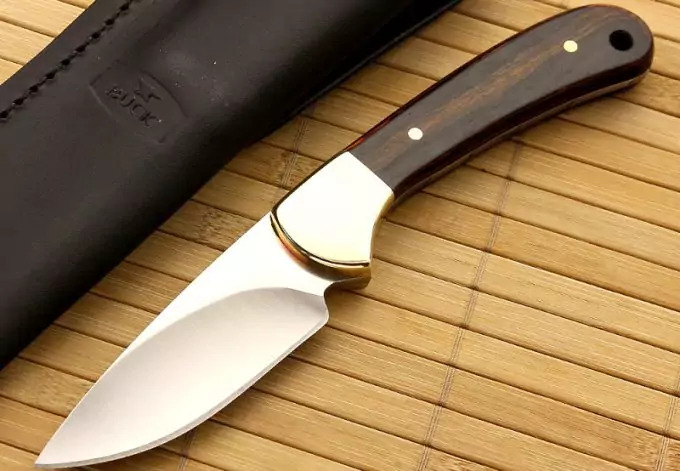 The 3” drop point blade is made from high quality stainless steel, while the handle is built with Macassar Ebony hardwood, which just so happens to be some of the most expensive wood in the world. While the Buck Ranger Skinner can’t survive in your knife arsenal by itself, if paired with a larger, more efficient knife, the Ranger will supplement the larger knife excellently. This smaller knife is best used for meticulous jobs, especially when skinning smaller animals. The beautiful blade design has a narrow tip that widens to a belly shaped blade. This widening of the blade makes it easier for the hunter to get through tough, thick layers when skinning animals. The Buck Ranger comes with a leather sheath to keep it in a safe place. As far as price goes, the Ranger Skinner sells for about $100, depending on which retailer you purchase it from. 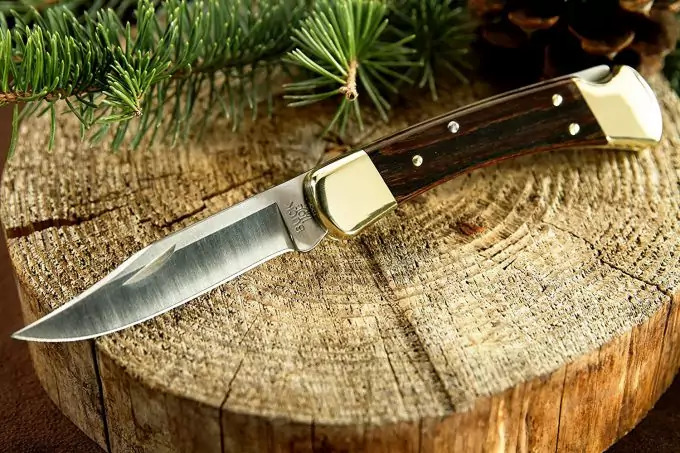 The Buck Folding hunter knife is one of the most iconic knives ever made. It may also be the most copied knife as well, because all major companies desired to have a knife as perfect as this one. Al Buck designed the Buck Folding knife in the 60’s. It not only looks great, but it also does everything you need a hunting knife to do. The 3” clip point blade design combines with high quality stainless steel to produce one of the best blades in the business. The Buck Folding Hunter also has the Macassar Ebony hardwood as its’ handle material. Perhaps the best attribute of this knife is its’ ability to fold down to fit in your pocket. This is especially helpful because it takes up much less space than the fixed blade design would. But, this knife was designed to be carried on a belt, not a pocket, so the handle is just as big as a normal knife, leaving the user to not miss any ease of use in the knife. The grip comfortably fits in the hand of most men, and is almost fun to twirl around for no reason. The Buck Folder also comes with a leather belt pouch. The price of this well-made folding knife is a cheap $75 most places. Although the Buck Folding Hunter isn’t the best hunting knife right now, it will always hold a place in the history of hunting knives. As many of you might already have guessed, the Laguiole Folder is a knife specifically designed to cut off breast meat from Ducks and Geese. While the breast meat of these animals is usually hard to cut correctly and there isn’t much room for missing meat, the Laguiole Folder is the perfect match for hunter and hunted. Many knife enthusiasts claim that this knife is the absolute best knife for sheering breast meat into a meal. These knives not only sport a sharp blade, but they also are beautiful. The design is amazing, while the materials perfect for this type of knife. The Laguiole’s flexible blade allows breast meat to come right of the animal, with little effort. The Laguiole itself is an old, valuable knife, considering Sheppard from the old world used the knife for their own animals and farms. A waterfowl hunter’s best gift, the Laguiole Folder is the best knife to split the meat of Ducks and Geese. Because Laguiole isn’t’ an actual brand of knife, the hunter must research a little to figure out where to get the best Laguiole knife. There are many fakes and imposters trying to make a quick buck off the Laguiole, so be careful. For those wanting to buy up a Laguiole Folder quickly, and I suggest you do, the price hovers around $300. Second to last on our list of best knives on the market is the Zombie-Invasion Knife. Yeah, this knife isn’t the best hunting knife to buy, but it is an undeniable knife to have in any survival situation, whether hunting or not. This massive hunting knife is a combination of a machete, like those found in Africa, and a hatchet. The Kukri blade has enough power to split entire branches in half, and will destroy any plants holding back progress. The massive devastation this knife causes shows how important it is to have a survival knife that can also be used for hunting. No, you won’t see a hunter skinning an animal with it, or carving up meat, but you will see that it is necessary for situations that cannot be solved with a tiny skinning knife. 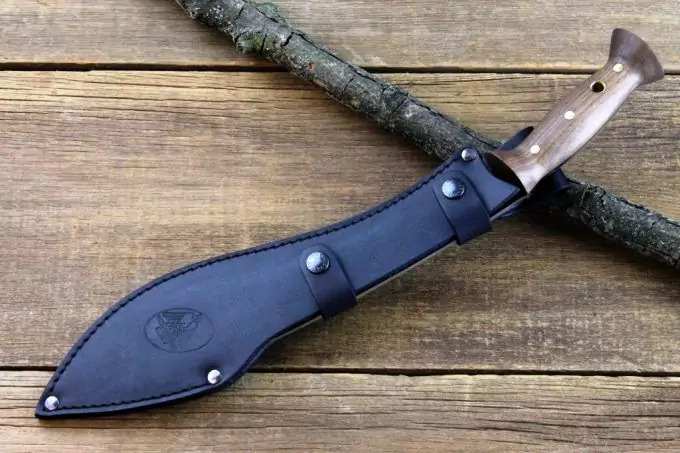 The Condor Machete puts fear into every animal near it, and will allow any person in a survival situation an ample escape from what could be a dangerous animal. This amazing piece of ingenuity sports a carbon steel blade, walnut handle, and comes with a belt sheath. Even the price is great, as you can purchase this machete for about $150. Last, but certainly not least, we have the best hunting knife on the market, the Onion Skinner by CRKT. Designed and built by Ken Onion, one of the best knife designers in the world, the Onion Skinner is the perfect knife for hunting. This particular design is unlike anything else on the knife market today. The sharp, spear-like point cuts any animal skin with precision, while also minimizing the unwanted parts of skin, also known as hair. This knife will slice right past the hair, and reach the skin with enough sharpness to make any cut the hunter needs. The blade, specifically, is a little different. It has a small bump, which looks fairly awkward, but indeed its’ purpose is well documented when the knife slides through skin with the utmost ease. The stainless steel blade of the Onion Skinner reaches about 4” in length, which allows the knife to be handled much easier. Also, a distinct custom leather sheath comes with the Onion Skinner, and can lock the knife in position if need. This knife can be used on almost any type of animal and flesh. There is a reason it sits at the top of this list. The Onion Skinner costs about $100, which is a small price to pay for the best hunting knife on the market. So many knives are made every day, each one with its own specific niche to fill for hunters everywhere. But, there can only be a certain amount of knives worth buying, and even fewer that work well too. Because there are so many good knives on the market, it was difficult to pick out one specifically to name the best hunting knife right now. 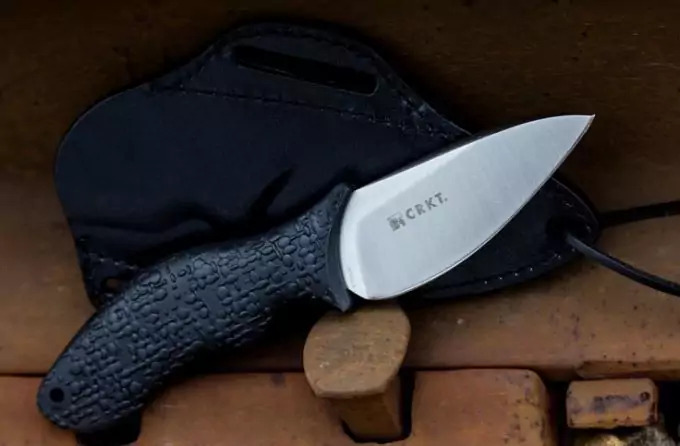 The Onion Skinner by CRKT truly is the epitome of every hunting knife out there. 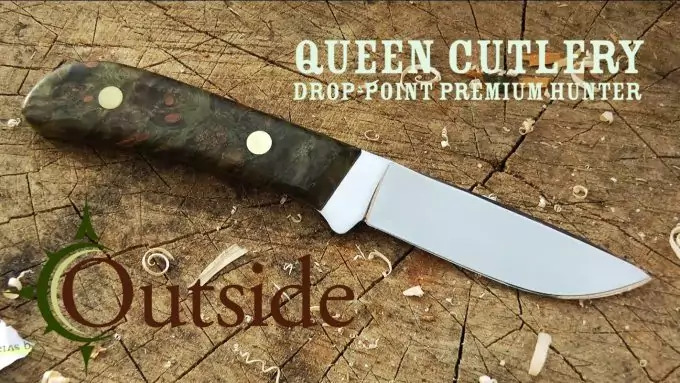 It has the right design, build, materials, weight distribution, and overall aesthetically pleasing looks to back up its claim for best hunting knife. Perhaps its’ only flaw is that it has only one color to choose from. A small price to pay to be satisfied with the purchase you make. While the list seen here today was full of knives that can be a hunter’s best friend, but only one was able to become the best hunting knife. If the Condor Machete previously mentioned were designed for hunting, it would be the best knife money could buy. However, it was thought up with the idea of surviving on the creators mind. Knives are a necessary component to a hunter’s arsenal, and without them, hunters would be lost. 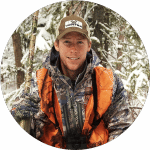 Since firearms can’t always be counted on 100% of the time, there is room for the knife to become the most vital part of a hunter’s stockpile. Don’t forget safety. Read our popular piece on knife safety tips for more information.